Spring has to be one of my most favorite times to stock up on kids clothes. Saying buh-bye to jackets and hello to year-round Florida style, those bold colors and sweet patterns always get me in the Easter mood. Easter is always a big deal in our family. We love to dress up for this special holiday, go to church as a family, and spend the day with our loved ones. 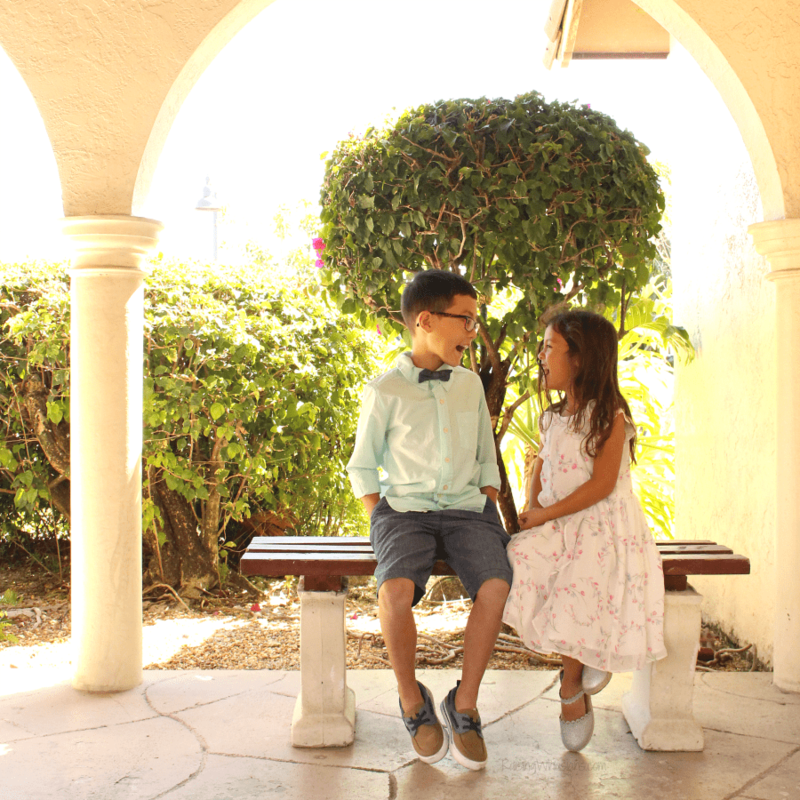 Between pictures, endless brunch buffets and baskets full of presents – it’s also one of my favorite times to take pictures of the kids in their adorable Easter style. But not just any Easter style will do for this budget-conscious mom. I need trendy, quality and affordable to come in one convenient mom-approved package. So where do I go for the latest kids Easter styles for less? Yup, OshKosh B’gosh. 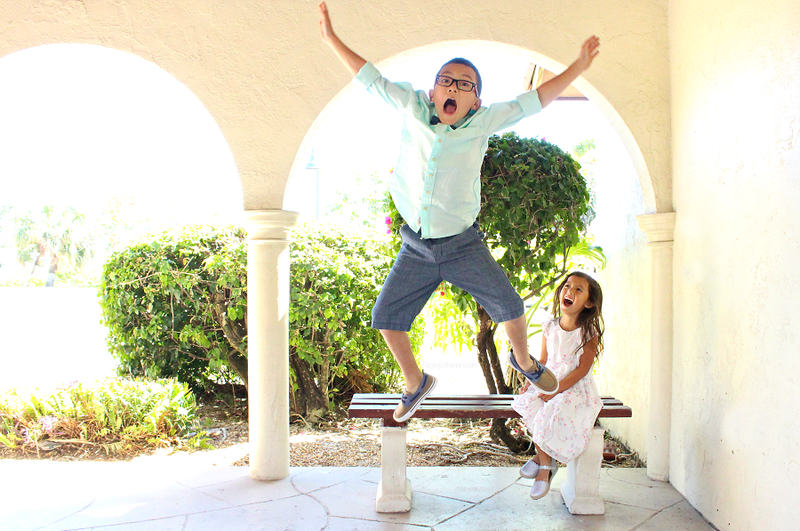 Check out what I grabbed for the kiddos for their 2018 Easter pics for under $75 (including shoes), grab your exclusive coupon savings, and be sure to scroll down for a an OshKosh gift card giveaway! 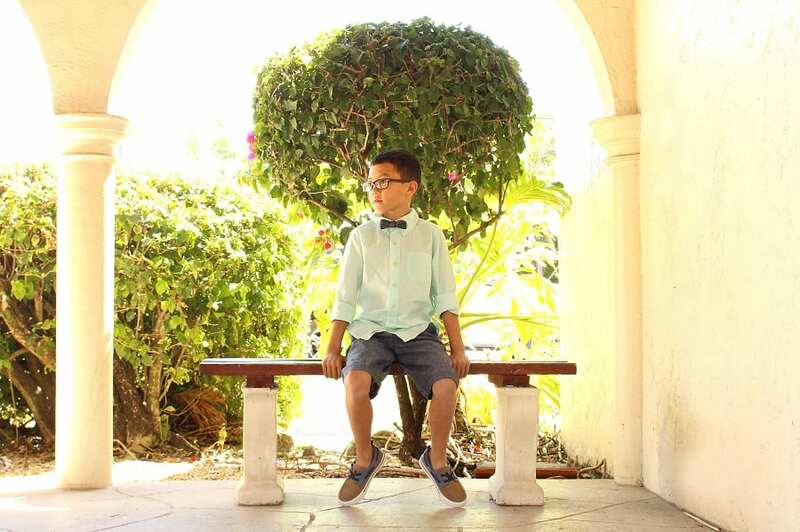 I will always be a sucker for little boys in glasses and bow ties. I love Love LOVE that OshKosh always has the perfect bow tie in stock for my handsome boy. Add a button down shirt in a bright spring color, these awesome dress up or down chambray shorts for our Florida weather (with included belt and hidden adjustable waist), and finish off the look with some stylish slip-on shoes, and you have one seriously handsome dude. With sales prices and coupon (see below), I was able to score this whole look for under $40. 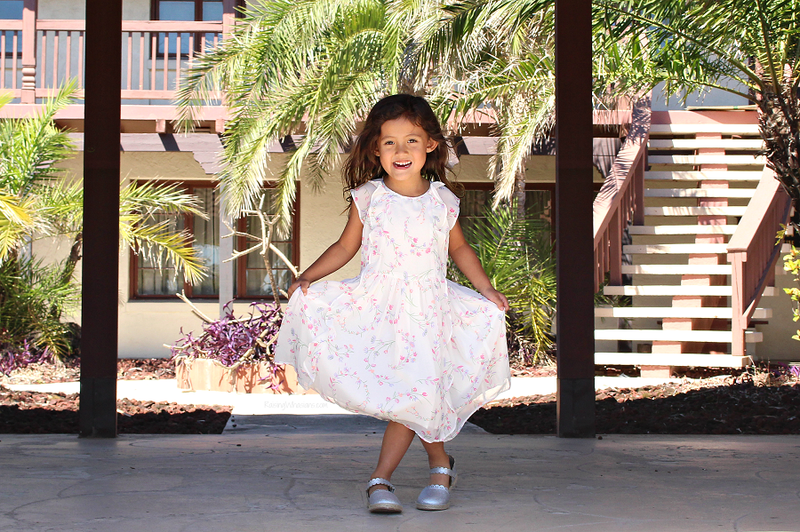 No Easter is complete without the perfect Easter dress for girls. We seriously had the hardest time choosing a dress because they were ALL so cute! But knowing that this girly girl is all into ruffles and flowers, we thought this sweet and dreamy white dress would be the best addition to her sweet wardrobe. And let’s not forget sparkly silver espadrille sandals too. My girl had to have these sparkly shoes, and I don’t blame her. This sweet Easter style was all under $35, perfect for our family budget. And with quality that will last, I know we will love showing off this look again and again this season. Ready to save even more on your Kids Easter Style? 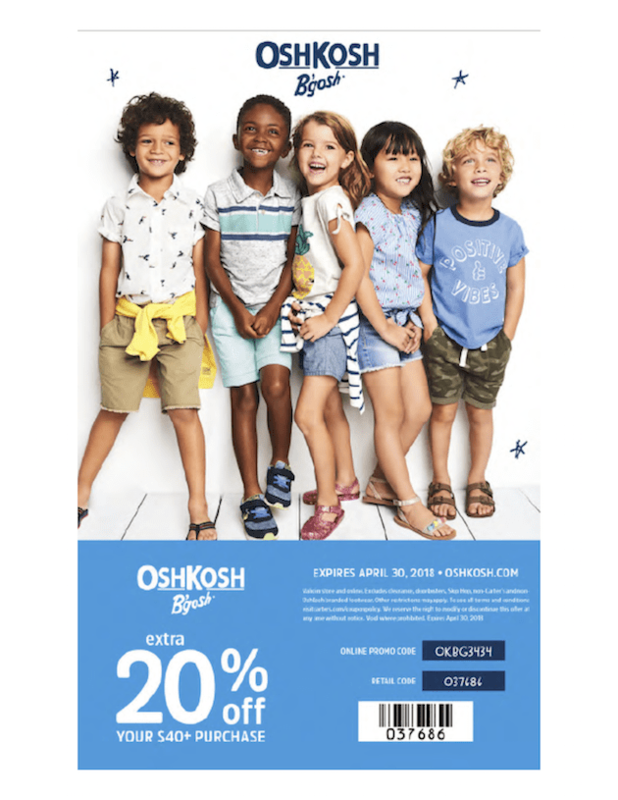 Grab this exclusive 2018 OshKosh Coupon for even bigger Easter savings! Use in store code: 037686 or online: OKBG3434 to save an extra 20% off your $40+ purchase. Perfect for stocking up on your kids’ spring and summer wardrobes! But hurry, these spring savings end April 30, 2018. Bunny ready? Absolutely. OshKosh B’gosh always comes through for our important family memories. 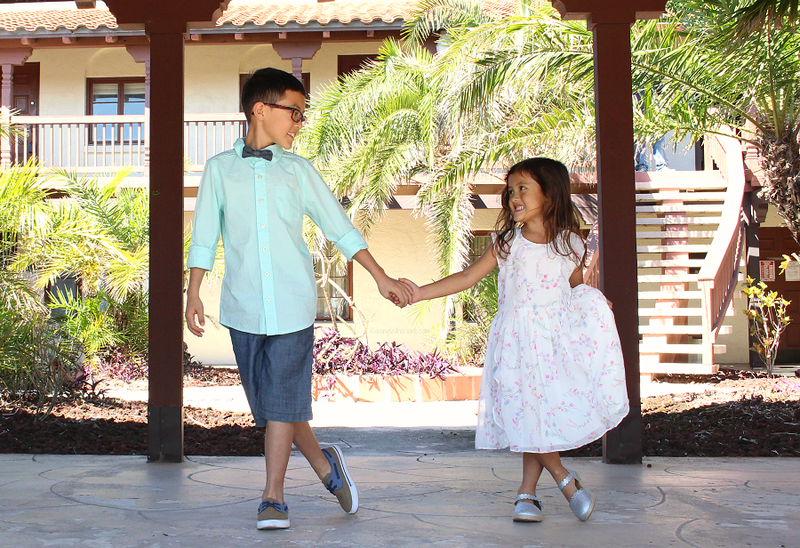 With the quality, durability, trendsetting, kid-loving, budget-friendly kids Easter styles for less, we can make the most of our favorite holidays for Easter and beyond. So hop down to your local OshKosh store for amazing styles for babies, boys and girls. Be sure to follow OshKosh via Facebook, Twitter and Instagram for the latest style trends, deals, coupons and more. Disclosure: This giveaway is sponsored by OshKosh B’gosh. Raising Whasians is responsible for prize fulfillment. One winner will be randomly selected using the Rafflecopter random selector and will be notified via email. Once notified, the winner will have 24 hours to respond or a new winner will be chosen. This giveaway is in no way associated with Facebook, Twitter, Instagram, Pinterest or Google. Void where prohibited. This disclosure is made in accordance with the FTC 10 CFR, Part 255 Guides Concerning the Use of Endorsements. Be sure to follow Raising Whasians via Facebook, Twitter, Google, Instagram, Pinterest and YouTube for more of your favorite giveaways! Looking for more kids fashion ideas? I love the Ruffle-Front Chiffon Dress for my daughter. I love the Layered Tulle Dress! I love the Graphic Tees for the kids for summer fun wear. I love their girl dresses. I would love to go on a spree for my daughter. I love Tulle Striped Dress . I’m loving that Plaid Button-Front Shirt and khaki pant for my son. I like the flutter jersey tee. I just love their little Sleeveless Floral Dress and Tiered Dress. The canvas shortalls are so super cute! I like the lemon cross back dress. I like the Donut Planet tee. I love the Floral Poplin Dress for infant girls. I’d love to get the Embroidered Floral Top for my daughter. I’m loving the sparkly sandals and bright colored shorts for kids this spring! I am loving the Belted Twill Shorts for little boys. I am loving the Polos! I like the Jersey Bodysuit. Daddy’s co pilot. I LOVE the Little Princess t-shirt for toddlers! So precious. I love the polo shirts! I would love the Floral Poplin Dress for my granddaughter. It’s so cute! I absolutely love the patterns on the little girls dresses! I pretty much want to buy all of them! The Jersey pullovers! My grandson would look adorable in them! I love the sleeveless baby girl dresses. I think the Floral Poplin dress is adorable. I’m loving the Ruffle-Front Chiffon Dress. I love the poplin button down boys shirt! I am loving the plaid Poplin Button-Front shirt. Plaid is one of my son’s favorite prints, and this is a fun way to dress up for the Easter holiday/Spring Season. I like the little girls overalls. I love all the girls sized terry and jersey shorts. My daughter is unable to zip and button her clothes because of motor issues. Theses shorts will be easy for her to take off. I like the Eyelet Bomber Jacket a lot. The dresses are so cute. I also like the graphic tees. I love the Striped Espadrilles and the Smocked Jumpsuit. I love the ruffle front chiffon dress! So many cute styles! I am loving the fluttered sleeves and ruffled neck dresses. I love the graphic tees and there is a float purple toddler dress I love! I love the boys pull-on canvas shorts in the taco and pizza print! I love the pastel striped dress for my Chloe Pearl! I like the Sleeveless Striped Dress for my nieces. I like the boys’ Jersey Polo and the Belted Twill Shorts. I love the Ruffle-Front Chiffon Dress and the super cute OshKosh Flower Fisherman Sandals. I like the Tulle Striped Dress for my daughter! I like the Watermelon Swimsuit for baby girls. I like the Jersey polos . I love all the dresses and sporty looks for girls. I like the eyelet cotton dress. Im loving the girls graphic tees, esp the mermaid! Love the Luau polo and the fish polo. So cute! I love the Striped Poplin Bodysuit. The Lemon Cross-Back Dress is cute. I love the Eyelet Bomber jacket! I love the Striped Fedora, OshKosh Boat Shoes and the Poplin Button-Front Shirt. I love the jersey tunic dresses for toddlers. 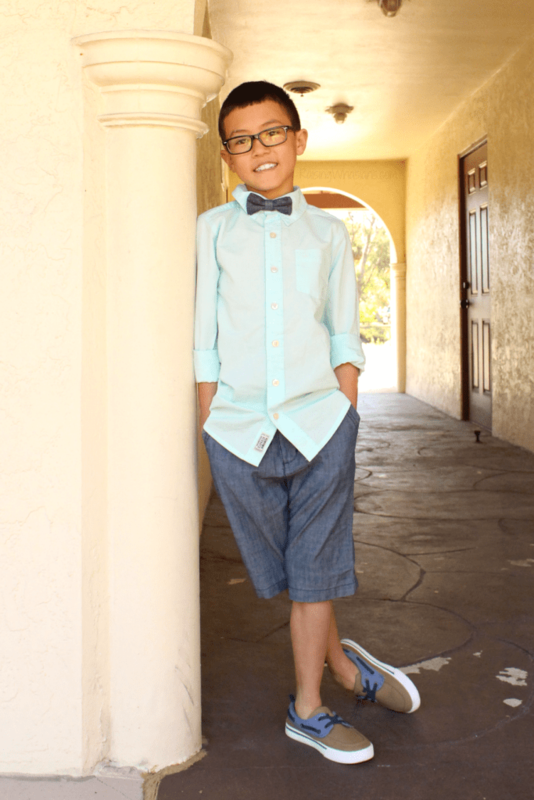 I love the cute button downs for boys! I really need some new ones for my son. I love the Ruffle-Neck Dress. So pretty! I am loving the Eyelet Lace Tank for girl toddlers! I’m loving the suspender seersucker pants. I like the cute graphic tees. I love the boys graphic tees! I love the rompers for spring. The Ruffle neck dress is super cute. I love the sleeveless striped dress-it’s so cute. Your son looks quite dapper 🙂 And your daughter is adorable! I love the Floral Poplin Dress for baby girls. I love the boys’ quilted denim jacket. Very stylish! No style in particular, but I’m loving the amazing colors. Everything is so vibrant and fun! I like the Eyelet Jumper. My grandson would love the Who’s Hangry? and the Pizza Shark tees. I am loving the polo shirts and shorts. I would like to get my two year old daughter some summer dresses and cute sandals to wear for church. Oshkosh seems to have some really cute clothes for little girls. I love the cross back dresses! It’s such a cute look. I’m also loving all the flutter sleeves! I like the tees with the pedal pusher leggings. I love the Floral Jumper. It’s so adorable. I’m loving the girls rompers. I like the short sleeve button ups for my grandsons. I love the Chevron Cross-Back Dress! So cute and spring-y! I really like the poplin flutter dress! Loving the cute tees and polos! I like the Eyelet Dress. I like the elephant ruffle tank and the cloud leggings. I am loving the cute polos for my little guy. I love the Striped Floral Dress for my Granddaughter and the Surfer Button-Front Shirt for my Grandson. I found a lot of items that I want to get for them. Thanks for sharing, they are having a big sale right now! I am loving the Active Shorts. I’m like the “Jersey Pocket Henley” shirts for our son. I love the floral peplum top for my niece! 2-Piece Bodysuit Dress & Neon Cardigan Set. I would love the girls Eyelet dress for my granddaughter. I like the Stretch Chino Shorts and the Button Down Poplin Shirt. My grandson would look so handsome in them. I love the Sleeveless Striped Dress and the Eyelet Dress for Easter for my 2 granddaughters. 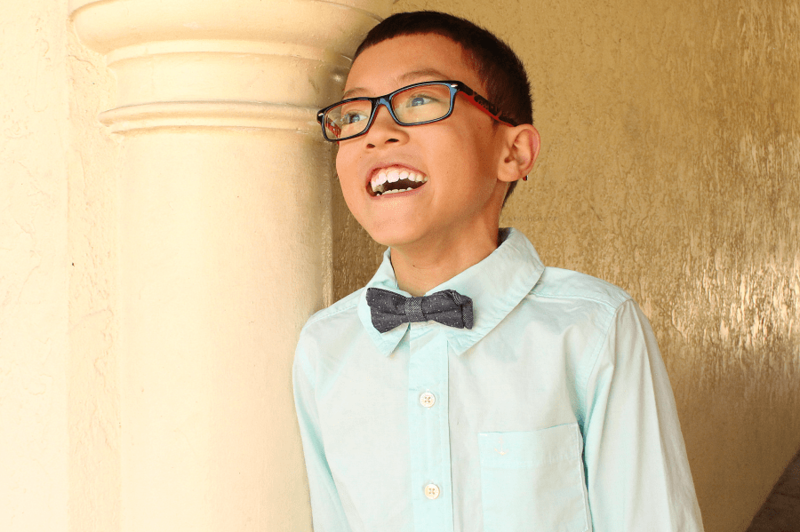 I am totally in love with the Pizza Bowtie for boys! So adorable!! Their classic overalls, my little girl LOVES overalls! I’m loving the cute jumpers! i love the neon jersey polo. i also love the oshkosh logo pullover. I like the graphic tees. I love the girls eyelet dress. Also loving the sandals for girls. I like the Ruffle Neck dress for girls. Cute! They are all adorable, but I love the Osh Kosh Logo Jacket with jeans! It’s so casual, yet classic! I like the striped Jersey polo and striped fedora. I like the OshKosh Logo Varsity Tee and the Active Shorts for girls. I like the Layered Tulle Dress! I am loving the Bump Toe Athletic Sandals for boys! My son would love the blue ones, and I love that they have the toes covered! I love the dresses and rompers, especially with the prints. I love the button up plaid shirt for my son and floral dress for my daughter. I love the Pleated Gingham Top! it’s so cute! I like the Embroidered Floral Top. I love the Ruffle-Neck Dress. I love the pink pull on twill jeggings! Thanks so much for the chances to win. I like the Glitter Butterfly Tunic. The best item that I am likeing on the website today for this spring is the Straight Anchor Dark Wash Jeans. I love the Tiered Peplum Tunic!